The company operates in high-risk geo-political locations. Its Security Operations Center (SOC) monitors the firm’s vast drilling facilities to assure employee safety and protect assets and infrastructure. SOC upgrade required a video wall processor to provide continuous 24/7 operation, with real-time display of all visuals without any traditional PC vulnerabilities. RGB Spectrum’s MediaWall™ Display Processor with SinglePoint KvM control for the SOC 2x4 video wall. MediaWall receives feeds from IP-based cameras, GPS systems, live news, web pages, and access control spreadsheets. These inputs are displayed in up to 12 windows in any size, anywhere on the video wall. 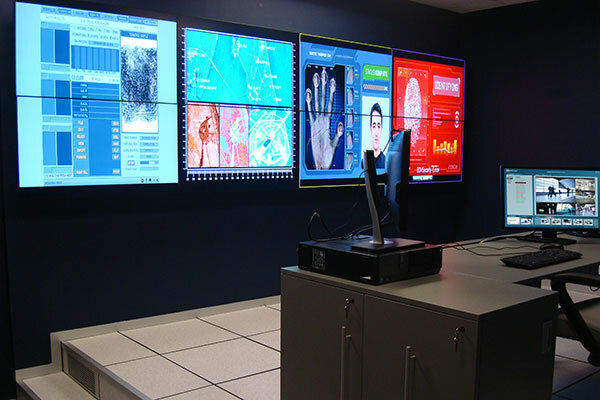 MediaWall’s SinglePoint KvM™ feature provides a single operator with control of the video wall, local displays and all source computers using a single keyboard and mouse.